In central Utah, a 65 million years old, giant wrinkle in the Earth’s crust stretches for 100 miles. It is called the Waterpocket Fold. People of the Fremont culture lived here as early as 700AD till about 1250. They were followed in the 1800’s by Mormon pioneers who created the community of Fruita along the Fremont River and become known for their productive orchards. 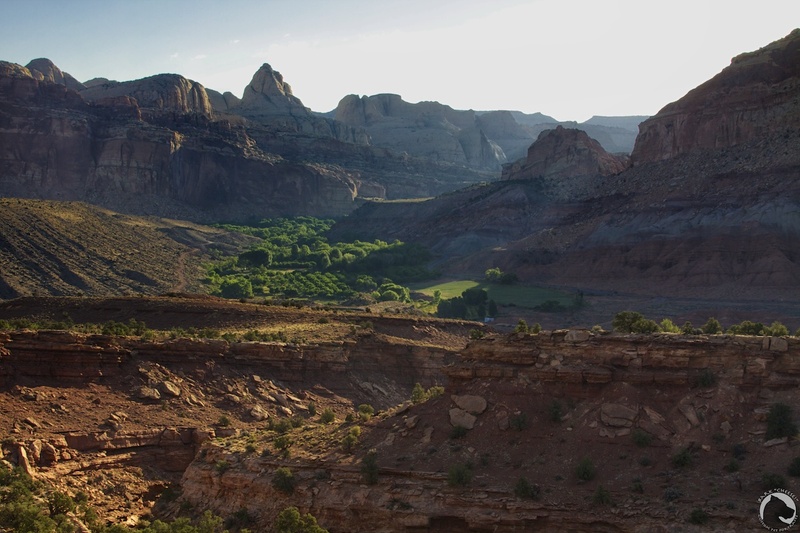 In 1937 the area was set aside as Capitol Reef National Monument, later to become a National Park and it still contains apple, peach, cherry, pear, and apricot orchards where visitors can pick and eat fruit for free. If you want to take the fruit with you there is a small fee. 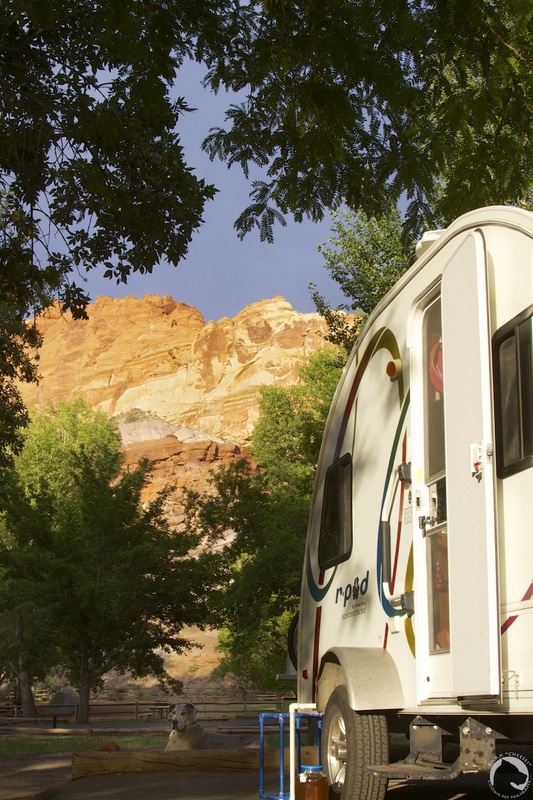 The Fruita campground is nestled between some of these orchards. Pets are allowed in the campground and on the path between the campground and the visitor center, they are also allowed in the orchards. 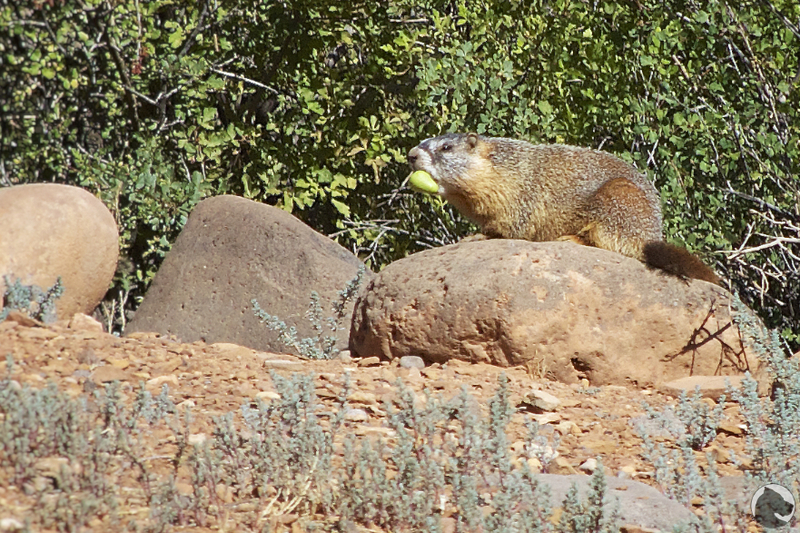 The orchards are also frequented by Mule deer and yellow-bellied marmots so if your dog likes to hunt as much as Varel and K’Ehleyr do you need to keep a tight hold on their leashes. Overall the Park gets a 1 paw rating since there are no accommodations made for pets but the shady campground and abundant fruit makes it a regular stop for us when we are traveling in the area. 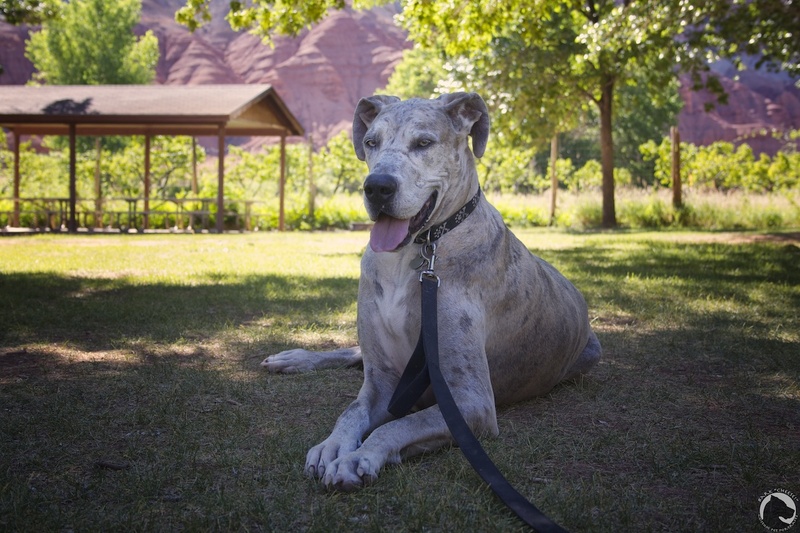 This entry was posted in Dogs and National Parks, Great Danes, pet travel and tagged hiking, National Parks, pet travel, traveling, Utah. Bookmark the permalink.